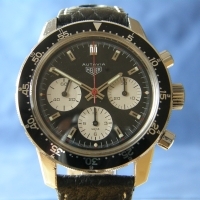 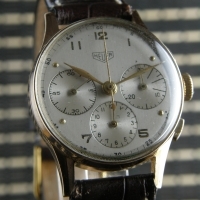 • to keep track of the Heuer watches that I own or have owned. 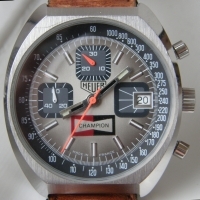 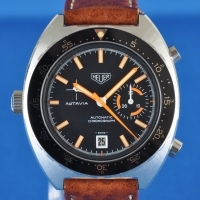 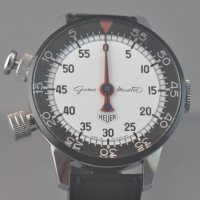 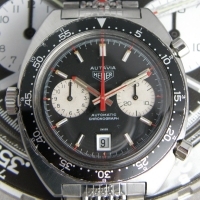 You will find information and pictures about Heuer Autavia, Camaro, Carrera, Monaco, Monza, Silverstone, several stopwatches and Heuer accessories. 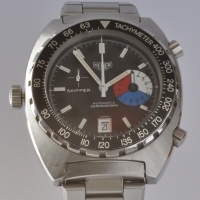 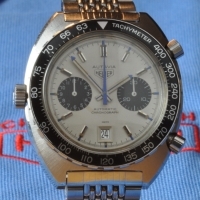 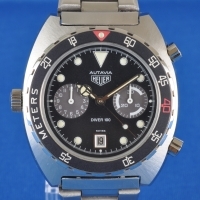 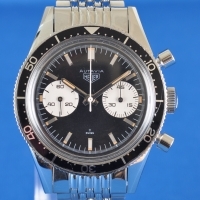 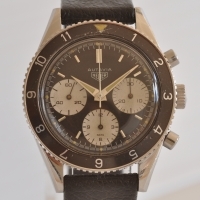 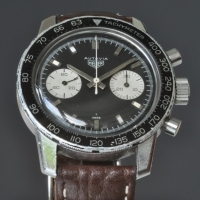 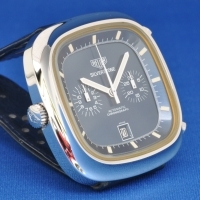 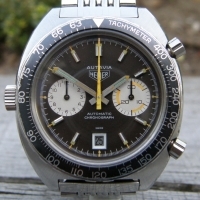 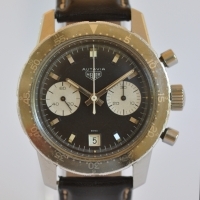 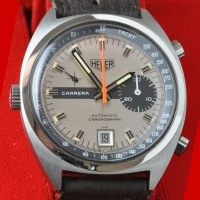 Plus links to interesting Heuer sites. 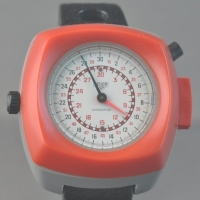 Watches with RED frame are no longer in my collection. 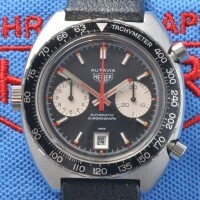 The Autavia (Auto + Aviation) was the first range from Heuer that carried a name on the dial. 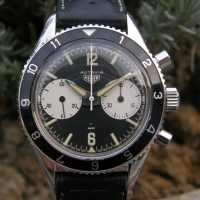 It was introduced in 1962 and continued until the TAG era in 1985. 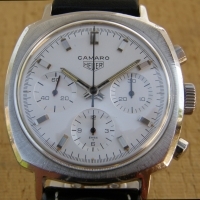 In the beginning they had manual movements, but in 1969 came the revolutionary new calibre 11, the worlds first automatic chronograph. 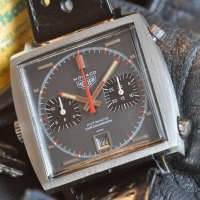 Monaco - the most iconic of all Heuers. 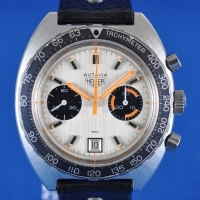 Jack W. Heuer was the first to introduce product placement in motor racing, so when Steve McQueen were filming "Le Mans" in 1970 he was presented with a box full of Heuers to chose from. 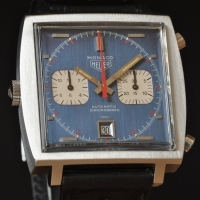 Not many of the very flamboyant Monacos were sold back then, but now they are the most sought after vintage Heuer. 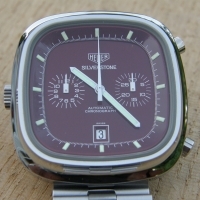 Silverstone - named after the famous English racetrack, was introduced in 1974 and came in 3 colors. 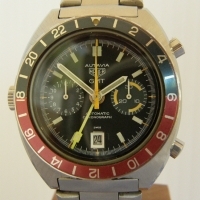 Blue, red and fume (brown). 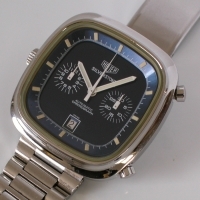 As a proof of the quality of the design, in 2010 TAG Heuer reintroduced the Silverstone in a version that is very close to the original. 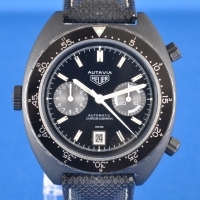 As you can see, although my collection is concentrated around Autavias, I have a few very nice Monacos and 3 x Silverstone have come and gone. 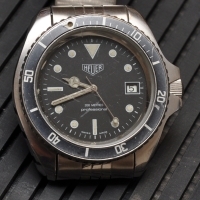 But other Heuer wristwatches have passed my safe and they can be seen here.